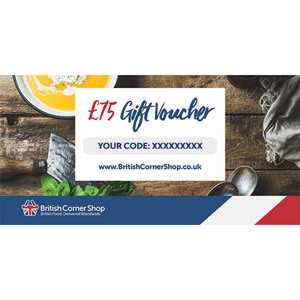 If you have a friend or family member who lives abroad, then why not treat them to a British Corner Shop gift voucher? 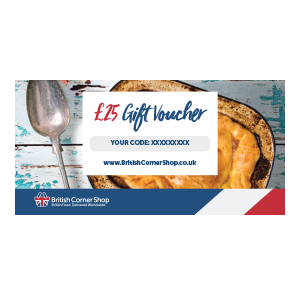 Our vouchers can be purchased in denominations of £25, £50, £75 or £100 and can be either posted or e-mailed to the recipient - simple! 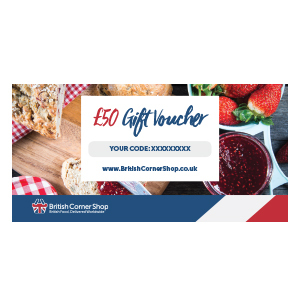 They will then be able to browse our extensive selection of British food online, pick out their favourite products and have them delivered direct to their door - wherever they are in the world. The voucher covers delivery costs, so there's no need for the bearer to pay any additional charge. 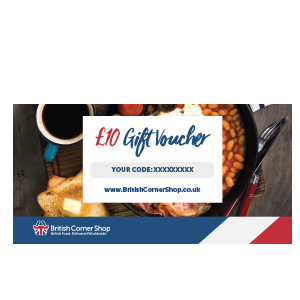 And if they don't use the voucher up in one go then the balance will be saved for when they return to BCS in the future. 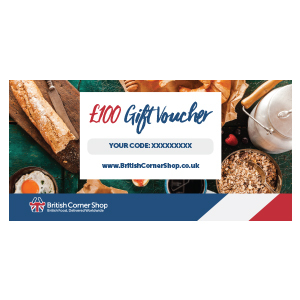 So if you are stuck for something to buy your expat friend for their birthday, anniversary or other special occasion, look no further than a BCS Gift Voucher for the perfect solution!